We’re big fans of The Vision’s fashion sense here on io9, but what were his best comic book outfits? We’re big fans of The Vision’s fashion sense here on io9, but what were his best comic book outfits? 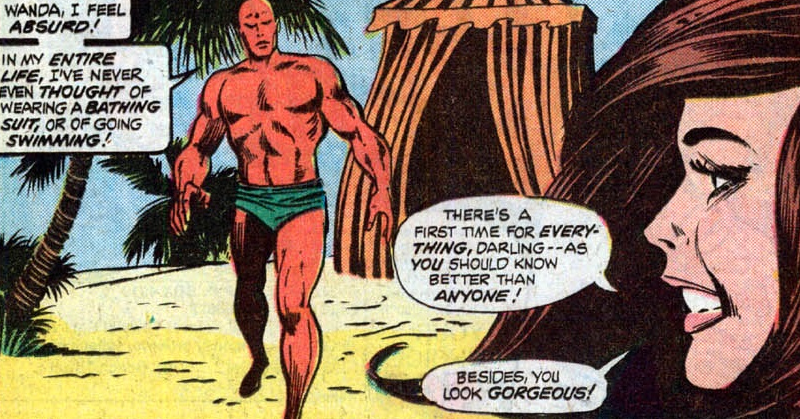 For the dedicated follower of synthezoid fashion, Brian Cronin over at Comic Book Resources has collected the Vision’s finest bits of wardrobe selection throughout his comic book history, and it’s fantastic.